Hey friends! 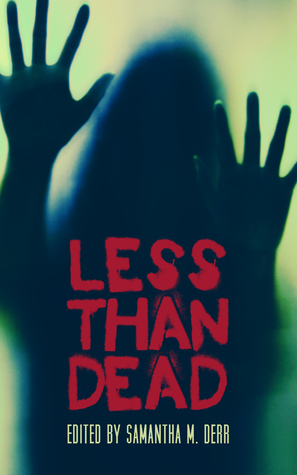 This is just a reminder to check out Less Than Dead, Less Than Three Press’s Halloween anthology of queer zombie stories. One of my stories is in there: Only Human, a story about a nerd boy who gets cursed and has to go see a necromancer to get it treated—where he meets the necromancer’s hot (but very dead) receptionist. The stories in this anthology span the lgbtqa range, from funny through tragic through action, horror and romance mixed. You can still get it through the publisher’s webpage for the special preorder price of 15% off until around 7 pm EST tomorrow (October 25), when it releases!